I am a total Christmas nut, there's no hiding it! Because I love Christmas so much I wanted to make my own Christmas cell phone case using some of the new and fun products by Mod Podge. Recently Mod Podge launched a new item called Collage Clay that makes creating Decoden projects a snap! If you haven't heard of Decoden, it is a popular decorating style which originated in Japan. The term "deco" is short for decorated and "den" is short for "denwa" which means "phone" in Japanese. 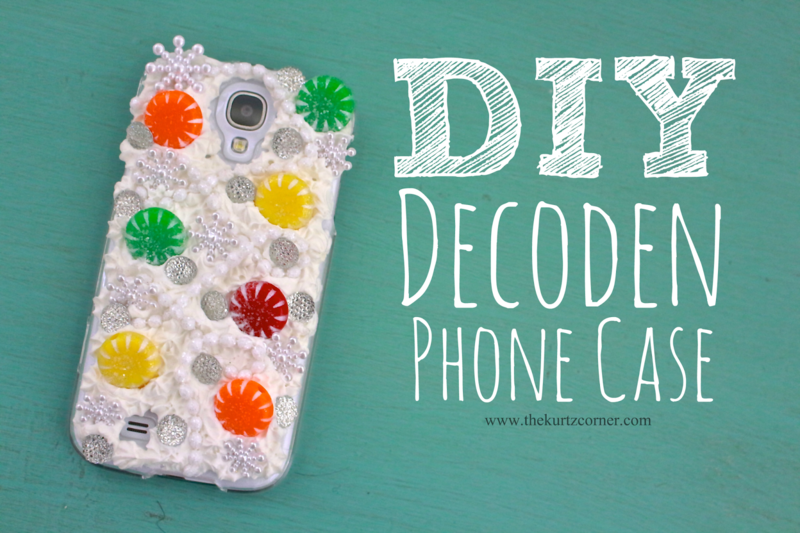 Decoden, however, is not just limited to phones! People are definitely embracing this style and using it to decorate everything from e-readers, iPads, handheld gaming systems and even fingernails! 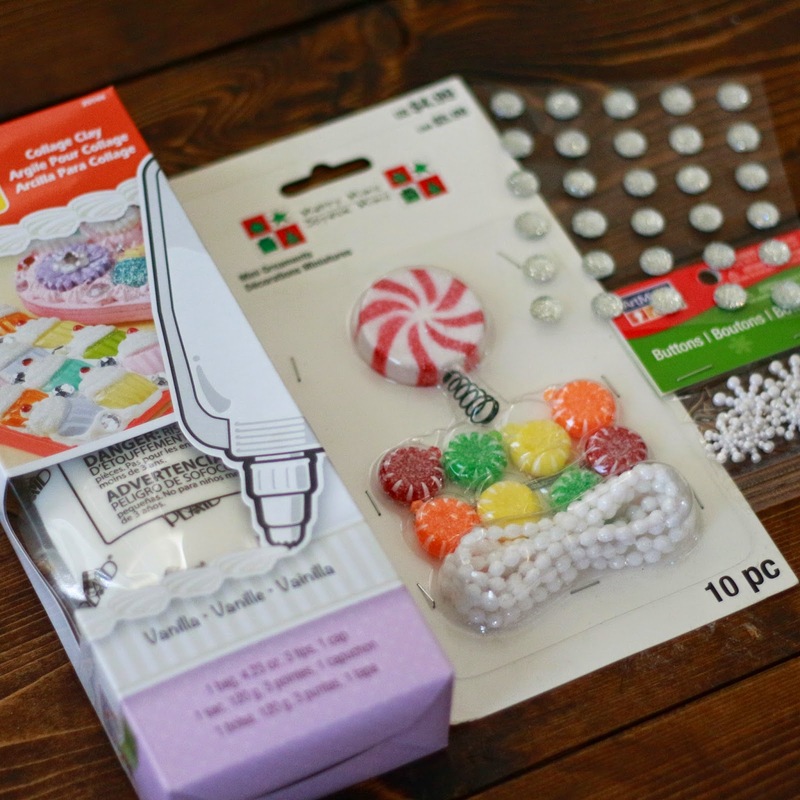 For this project I grabbed some fun and glittery Christmas candy ornaments, snowflake buttons, sparkle scrapbook adhesives, and of course Mod Podge Collage Clay. You can literally grab anything and everything that you would want to put on your phone. The collage clay will need at least one to two days to fully dry before using. Your finished product will be firm with a slight spring to the collage clay. It looks good enough to eat...but don't do that, I promise you won't like it! Vecco DIY Rug Décor Design Contest - Win $2,500! Vecco DIY Rug Décor – You Could Win $2,500! Calling all creators and DIY enthusiasts! 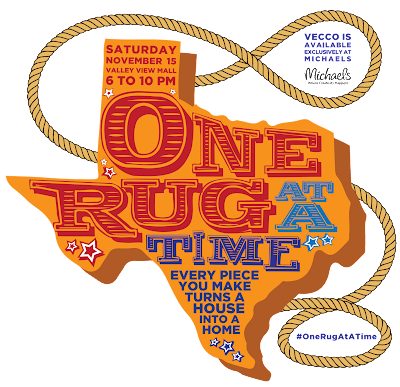 If you’re creative, crafty and live in the Dallas/Fort Worth-area, Vecco DIY Rug Décor want to invite you and your fellow Texans to show off what Texas pride means to you, and it's all for a good cause. Vecco DIY Rug Décor and four local non-profit organizations are celebrating Texas Pride from the ground up, literally! Join them on Saturday, November 15th from 6 -10 p.m. at Vecco’s One Rug at a Time event to be entered for the chance to win $2,500 and help a local non-profit organization win $5,000! Leading up to the event, four non-profit organizations (Dwell with Dignity, Dallas Area Fabric Artists, ArtLoveMagic and Groundwork Dallas) will participate in a special rug-making competition using Vecco DIY Rug Decor. Each organization will receive exclusive rug design kits, with instructions to design a rug that illustrates what Texas Pride means to them. The organization whose rug receives the most votes will receive a $5,000 donation from Vecco to help support their cause. Then, on Saturday, November 15th, you’re invited to join Vecco for an afternoon of live music, local area food trucks, and DIY fun for the entire family! A one-of-a-kind Texas rug mosaic will be on display to benefit Dwell with Dignity. Each piece in the mosaic was created by a local Dallas artist and will be donated to a household in need. In addition, the Texas Pride rugs made by the Dallas art community will be on display. See the rugs in-person at the event, then cast your vote here for your favorite organization’s rug from Monday, November 10, 2014 through Friday, November 14, 2014. The DIY fun’s not just for design professionals, however! If you are inspired by what you see at the event and want to try your hand at DIY rug décor, you can design and enter a rug in a special, second Texas Pride rug contest, just for individuals. Vecco will have supplies available for anyone who wants to design a rug and enter—simply be one of the first 100 visitors at Vecco’s One Rug at a Time event at Valley View Mall on Saturday, November 15th from 6 -10 p.m. Vecco designers will be on hand to provide instruction and tips to help bring your rug to life. When your rug is ready, snap a photo of your masterpiece and email it to onerug@veccostudio.com to submit your entry. Vecco will post it on a special Texas Pride board on Pinterest, so be sure to share the link with friends and family, and tell them to ‘Like’ your rug photo to cast their vote. The rug that receives the most Likes will win $2,500! Voting begins December 8 and ends on December 17, 2014. The winner will be notified by Vecco by email. If you want to learn more about creating a Vecco DIY Rug, this video is really terrific and super helpful! This is a sponsored blog post; while the views expressed here were genuinely mine, consideration was paid to me by Vecco to post this story. The holidays are upon us and that means it's time to shop till we drop! Honestly, I'd be perfectly happy with no presents at all during Christmas. This isn't what Christmas is about after all, but if you do enjoy spreading cheer to others by sharing gifts, why not shop small business and support other hard working families like yourself? This year I encourage you to shop small business and not give all of your money to big business! Sure, there are some things that small shops don't produce as well as big business, but really, unique handmade gifts rock just as hard! 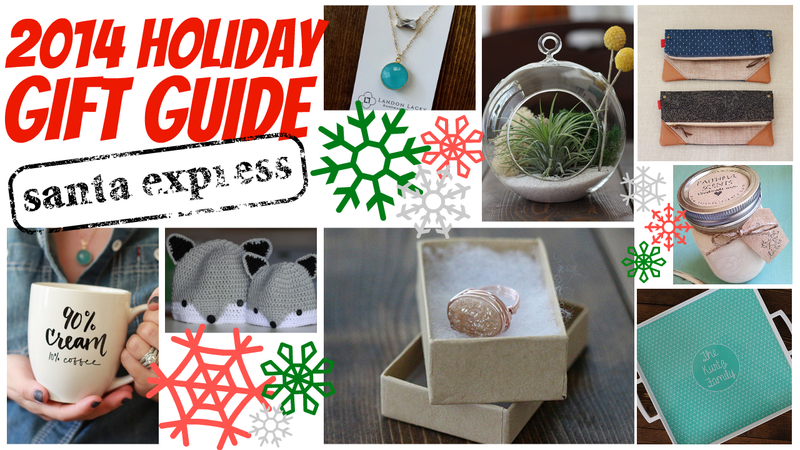 This year I have rounded up 12 awesome handmade gifts that I found on Etsy. These would be perfect for the women in your life! Check out the video below to find out about all of the gifts! When you're done watching, check out all of the shop links below the video and you'll even find the shop discounts mentioned in the video! Happy shopping and Merry Christmas!! *I was NOT paid to do this video or blog post. All opinions are my own. If someone asked me to describe myself in three words I don't think sentimental would top that list. It's not something that I think about when I think of myself, but that couldn't be further from the truth! I have saved so many special mementos in the past. I have shoe boxes filled with movie tickets, wine corks, seashells, dried flower petals, and the list goes. Now, as a mother, I find myself saving things of my son's that he has outgrown, toys and mementos of his childhood. I'll save them until we have another child, until I have grandkids, or until the disintegrate, ha! There are a few pieces that I love and I thought would be fun to repurpose. Things that I can wear and that, eventually, he can wear again, too! 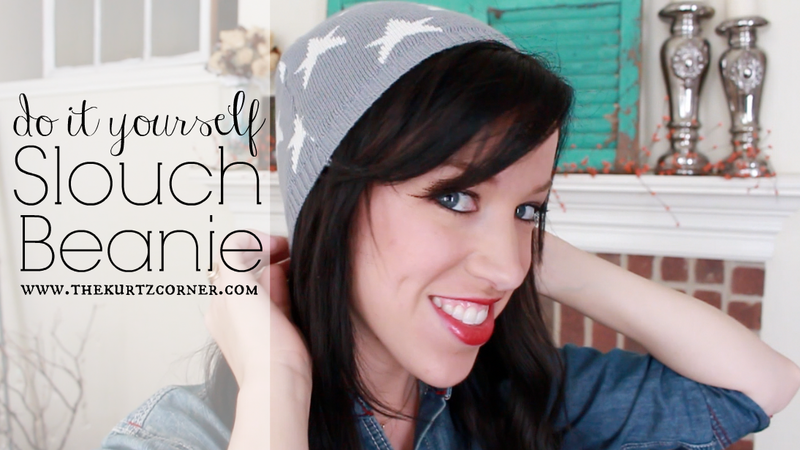 An easy DIY that I came up with is repurposing a sweater into a slouch beanie. 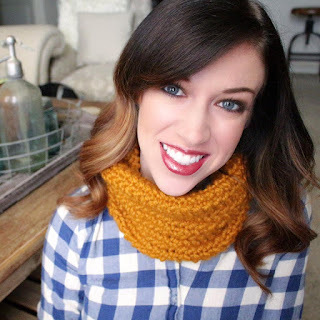 This stars sweater made a fantastic slouch beanie and it was so quick and easy to make. Follow along below as I show you in a few easy steps how to make you own!